It’s hard to spot an asset price bubble, especially if you’re in the midst of one. Usually, people find out they’re in a bubble only after it bursts. Goldman Sachs’ David Kostin offers this interesting stock market chart in a new note to clients. It’s a favorite of his. It shows the sector composition of the S&P 500 by market cap since 1975. 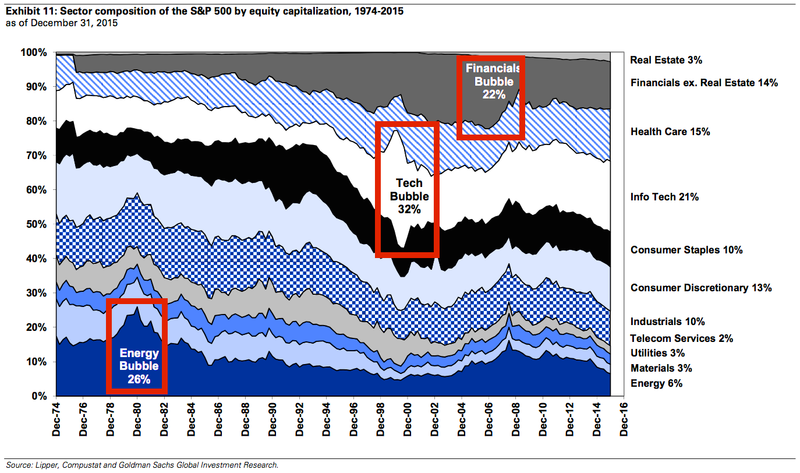 As you can see, sector bubbles manifest when they suddenly explode as a percentage of the S&P 500.